PULLMAN, Wash. – The Washington State University Carson College of Business is inviting potential employers to network with business students at the annual Career Networking Night event in Pullman. The event will begin at 5 p.m. Monday, Oct. 1, in the Compton Union Building (CUB) Junior Ballroom. Appetizers are included. Registration is available online until Thursday, Sept. 13. 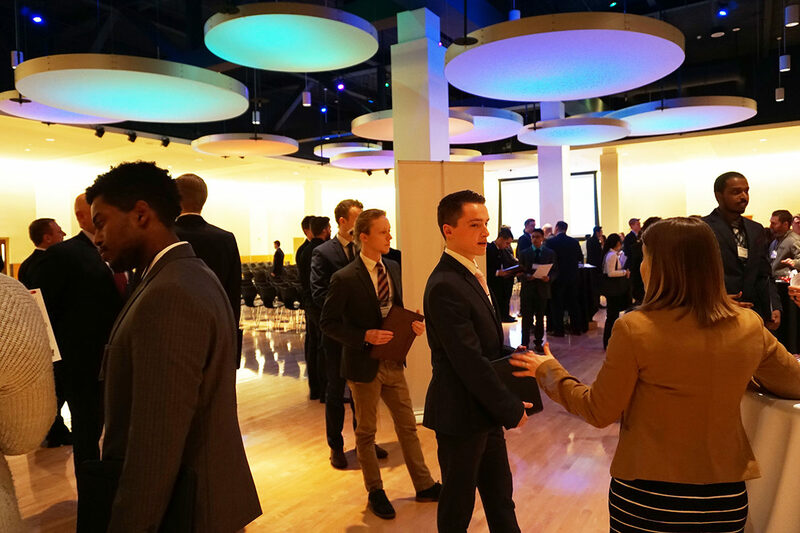 The Carson Center for Student Success sponsors this opportunity for employers to help educate and network with 200-300 business students prior to the campuswide WSU Career Expo. The employer ice-breaker panel discussion at 5–5:45 p.m. will be in the CUB Junior Ballroom. Employer and student networking will follow, 5:45-7:30 p.m. in the CUB Senior Ballroom. To learn more, contact Sophia Gaither at 509-335-8285, sophia.gaither@wsu.edu.